Fads come and go, and then come back again. And the literary world is no different, as far as fads go. There always seems to be a new way of writing about an old topic, but authors are seeing modern and innovative material in the females behind some of the most illustrious men of the world’s time – their wives. Let me introduce you to the “Famous Husband Club” because we would know nothing about these women if their other half were not renowned by history. 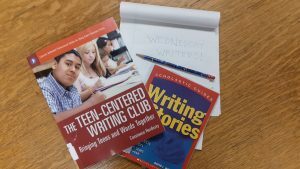 The novels I am presenting regarding “The Famous Husband Club” are all fictional with a spin on history and personality. In any case, they give us aspects of the woman behind the man, her role in his success, and a view into an anything but normal life. The first novel of the “Famous Husband Club” belongs to Paula McClain with The Paris Wife. McClain gives us a portrait of the quiet Hadley Richardson, first wife to Ernest Hemingway. Her time with Hemingway was during Paris in the 1920s, and when Hemingway is said to have done his best work. Hadley truly loves the man, is the mother to his son, and forgives him the many betrayals that happen in Hemingway’s climb to the top. She is lovely and supportive and possibly the only woman who really understood him. Zelda Fitzgerald is the president of “The Famous Husband Club.” She was practically a legend simply because F. Scott loved her and married her. In Therese Fowler’s book, Z: A Novel of Zelda Fitzgerald, we get a glimpse of the passionate partying and celebrity lifestyle of the couple. Told in first person by Zelda herself – flamboyant and tortured Zelda – we see the artist and icon she was in her own right. This book crosses over with The Paris Wife as Zelda and Hadley knew one another and their husbands were both friends and rivals. Shifting cultures, from the lost generation literati to the scientific theoreticians, we learn of Mileva Maric, the first wife of Albert Einstein in Marie Benedict’s novel, The Other Einstein. Mileva and Albert met at school in Zurich where they were both studying advanced physics, something very few women did. There is come conjecture about how much Mileva helped Albert with his theory of relativity, possibly more than we realize, and the book also delves into the mystery regarding an illegitimate child. Mileva’s life is fascinating, if heartbreaking, due to Mileva’s Serbian Orthodox upbringing, extreme intelligence, and love for a man she could never really call her own. But for me, the member of the “Famous Husband Club” who I most love is Anne Morrow Lindbergh. 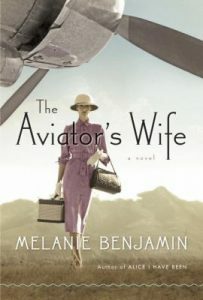 Melanie Benjamin’s novel The Aviator’s Wife is nothing short of marvelous. Anne had a larger than life husband in Charles Lindbergh, and it is said that only Princess Diana was as hounded by the paparazzi as Anne Lindbergh was. Anne was witty, eloquent, an accomplished pilot and one of the only people Charles trusted as navigator. Anne fostered and helped create the legend that was the Lindbergh’s through motherhood, the loss of a child, her loneliness in her marriage and her brilliant writing career. Also told in first person, the novel is both liberating and heart wrenching in its depiction of Anne. Definitely not to be missed, and if you only want to know one of the members in The Club, Anne would surely be the best to sit down and learn a few life lessons from. There are many other members in the “Famous Husband Club” and the Library is definitely the meeting place for such an eclectic and remarkable group. So stop by for reading suggestions on the women behind the men, for sometimes, to a sympathetic ear, they have an even better story to tell.